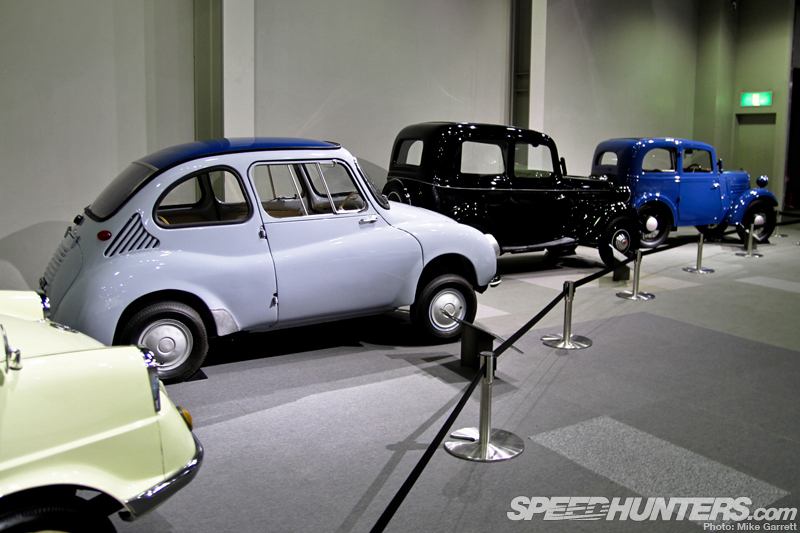 As strange as this might sound, this story from my visit to the Toyota Automobile Museum in Aichi, Japan is not going to contain a single Toyota. 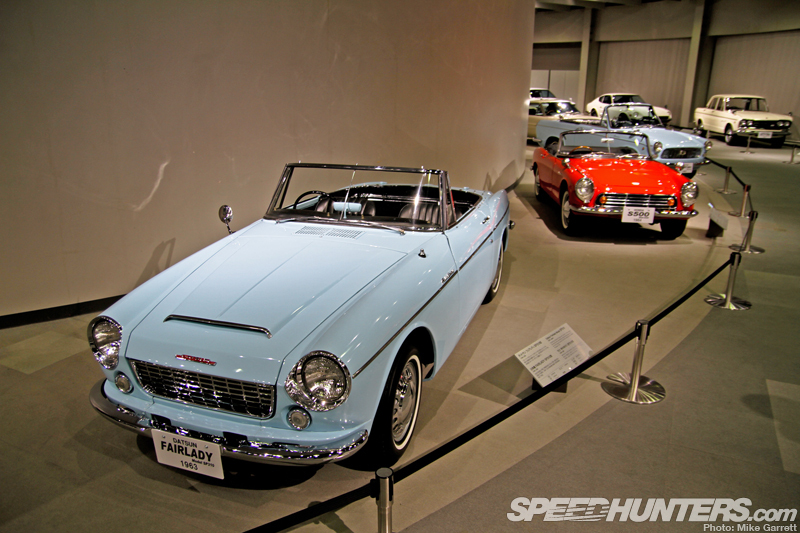 As I touched on in my introductory post about the museum, a fair portion of the enormous facility is dedicated to telling the global history of the automobile, rather than just the history of Toyota and its vehicles. In fact, because I visited the museum during the Toyota 75 special exhibit, there was an even higher number of Toyota vehicles on display than usual. 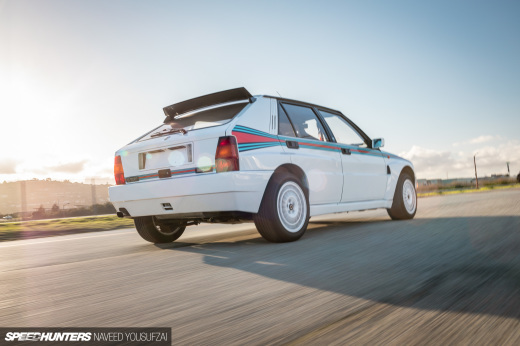 Normally, the mix is even more favored to the international side of automobile history. Now you are certainly forgiven if you think this is unusual – I know I did at first. I mean, why would a company like Toyota spend so much effort, time and money to source and display vehicles from other brands, including many its direct competitors? The simple answer is that Toyota created the museum not as a place to promote the brand, but as a place to celebrate and share the history and the love of the automobile itself. 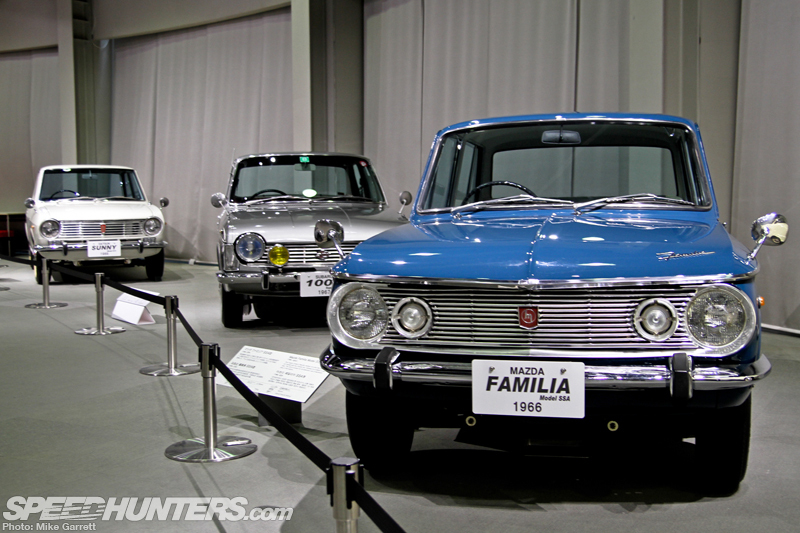 Sure, historic Toyotas are certainly part of the experience, but they are just one part of the larger goal. 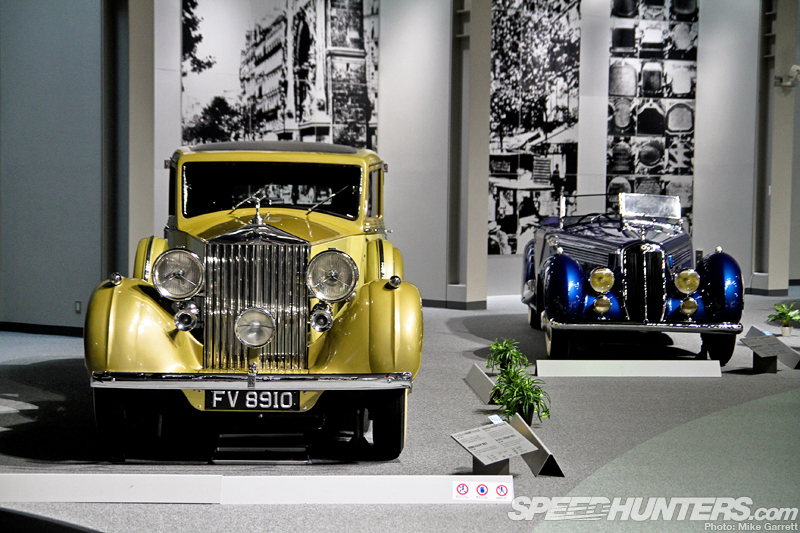 The result is a place where 1960s British sports cars share space with finned American classics, horseless carriages and vintage Japanese compact cars. 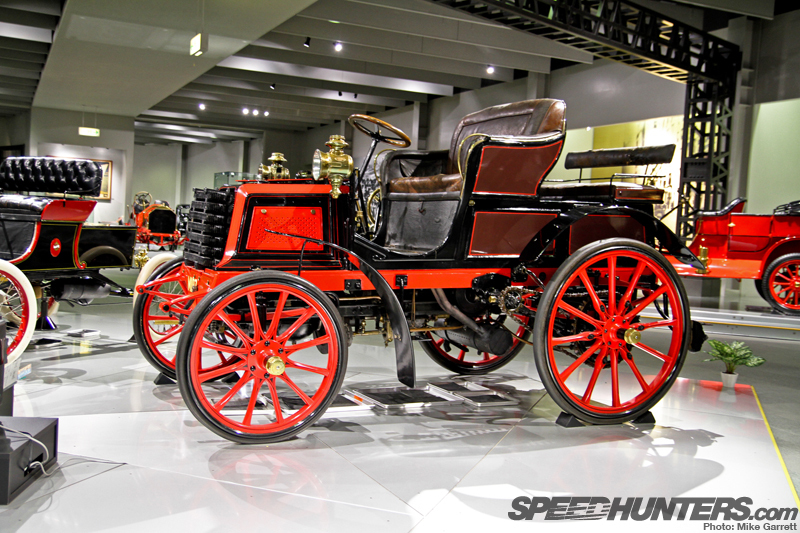 The range of vehicles on display quite literally goes back to the beginning of the automobile as we know it, and I have no doubt this is one of, if not the largest and most complete collection of these early automobiles in all of Japan. 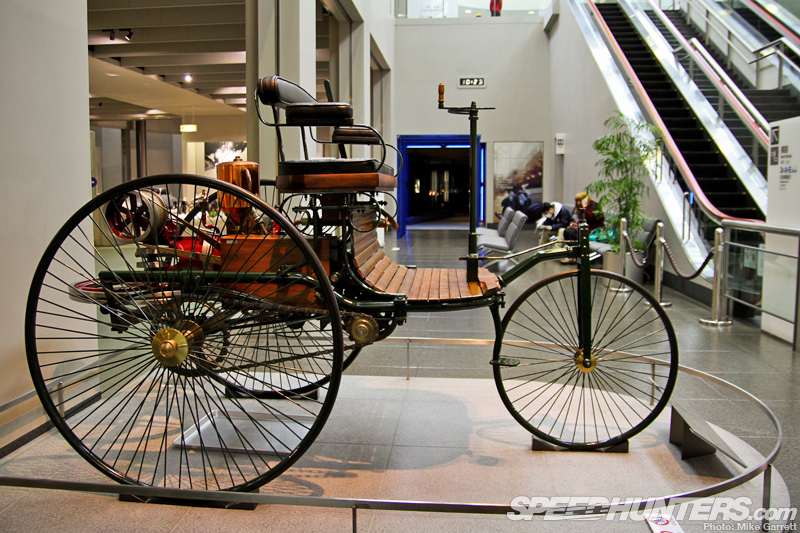 Representing the beginning is a replica of the 1886 Benz Patent Motorwagen. Considered to be the world’s first gasoline-powered car, this three-wheeled machine could achieve 15 kilometers per hour with the accelerator buried. 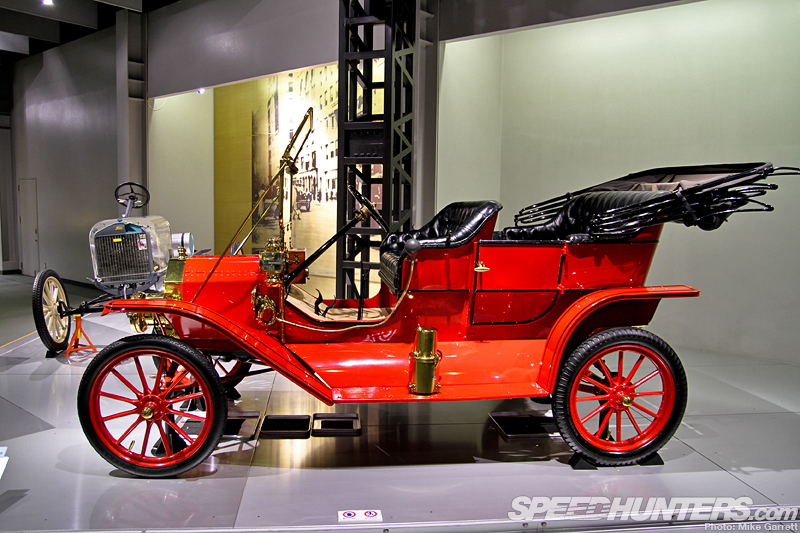 Also present is one of history’s most important cars: a Ford Model T from 1909. 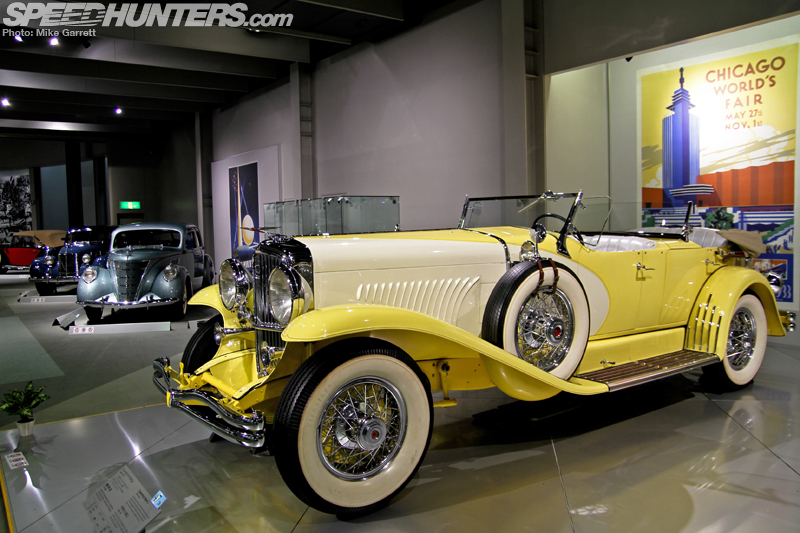 The T is of course known as one of the world’s first truly mass-produced cars, with Ford selling over 15 million of them prior to the end of production in 1927. 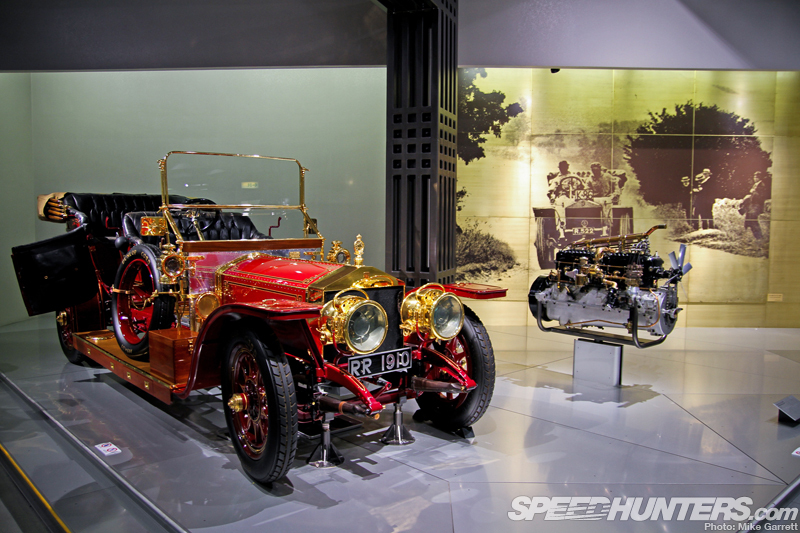 Along with mass-produced icons, the museum also includes many of the era’s more extravagant and expensive machines, like a 1910 Rolls-Royce Silver Ghost in all of its gold-plated glory. 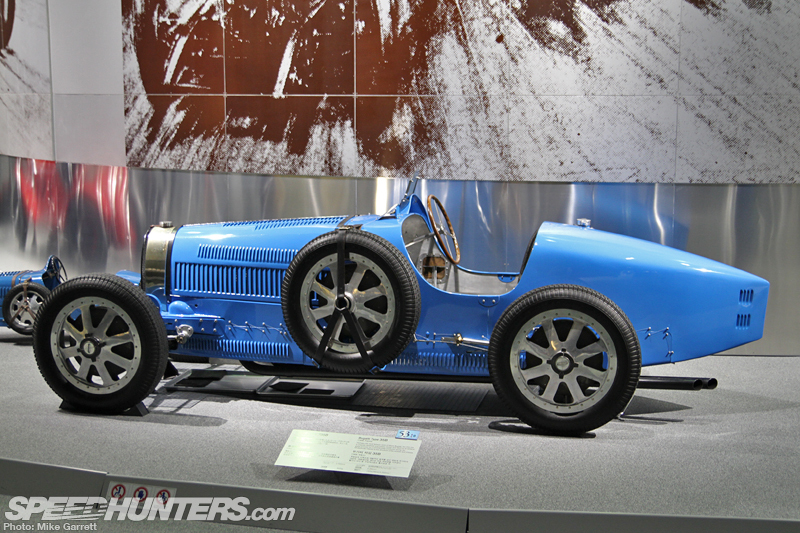 From there, the line-up continues to follow the progress of the advancing and expanding automobile industry, with machines like the groundbreaking 1926 Bugatti Type 35B sports car. And from the United States, a 1929 Duesenberg Model J with its state-of-the-art double overhead cam straight-eight powerplant and iconic coach-built bodywork. 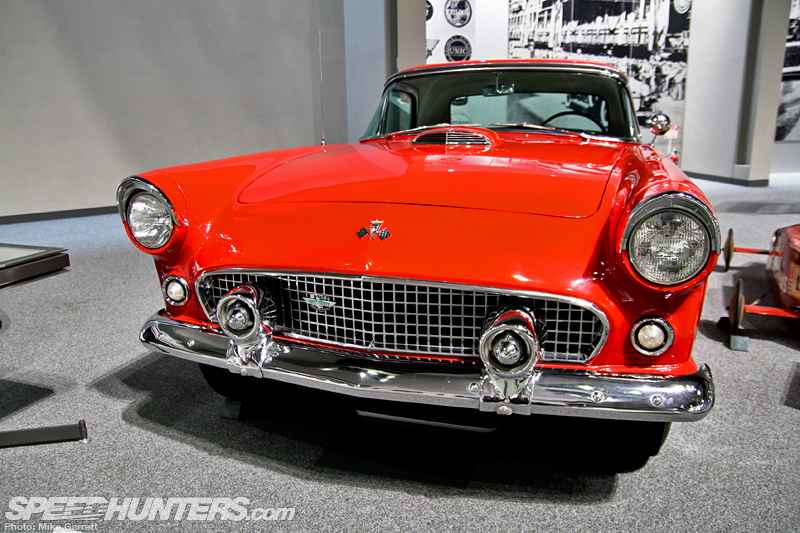 The displayed vehicles continue to follow history toward the era of more streamlined body design and more powerful engines in both mass market models and those built for the rich and famous. 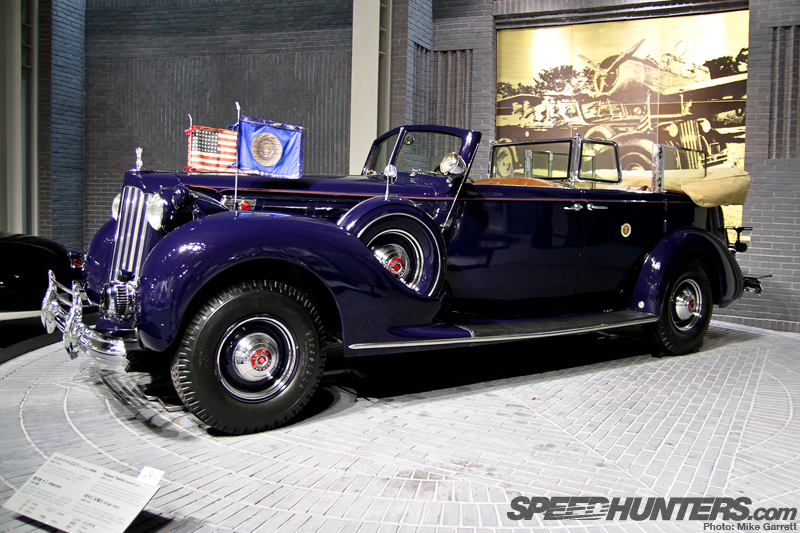 The collection even includes a 1939 Packard Twelve that was used as one of President Roosevelt’s cars, complete with tank-like armor and bulletproof glass. 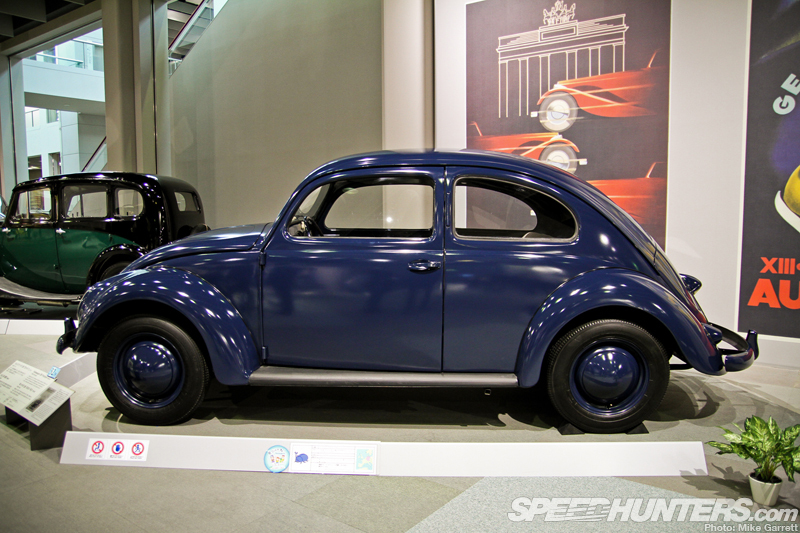 And then on the complete opposite end of the spectrum, it’s the original people’s car – a replica of the 1938 Volkswagen Type 38 Prototype from the same era. Perhaps equally important to the history of motoring is the Jeep, as represented by this Ford-built Model GPW from 1943. 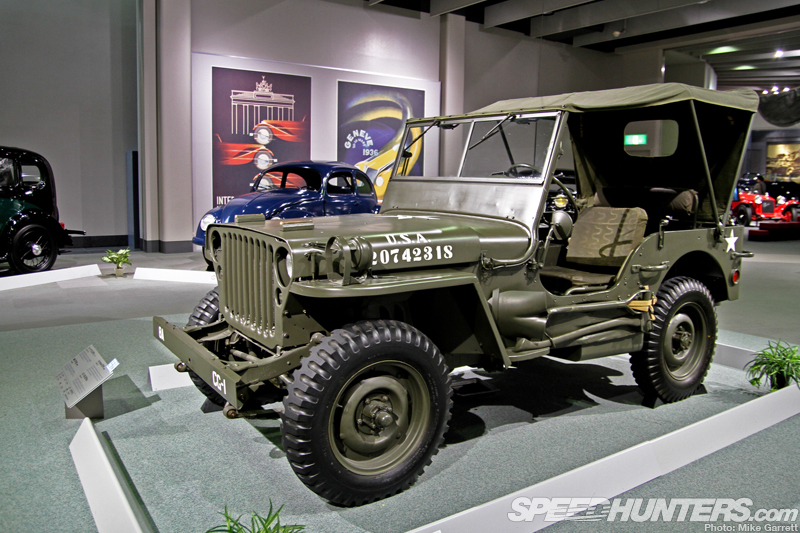 The Jeep is of course one of history’s best examples of war time technology trickling down to the consumer market. 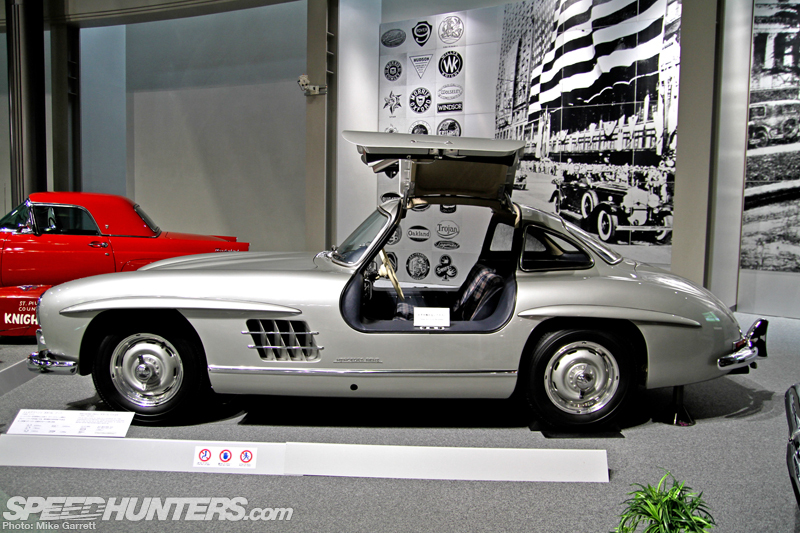 … or the 1955 Mercedes-Benz 300 SL Coupé with its gorgeous bodywork, gull wing doors and pioneering use of direct fuel injection. 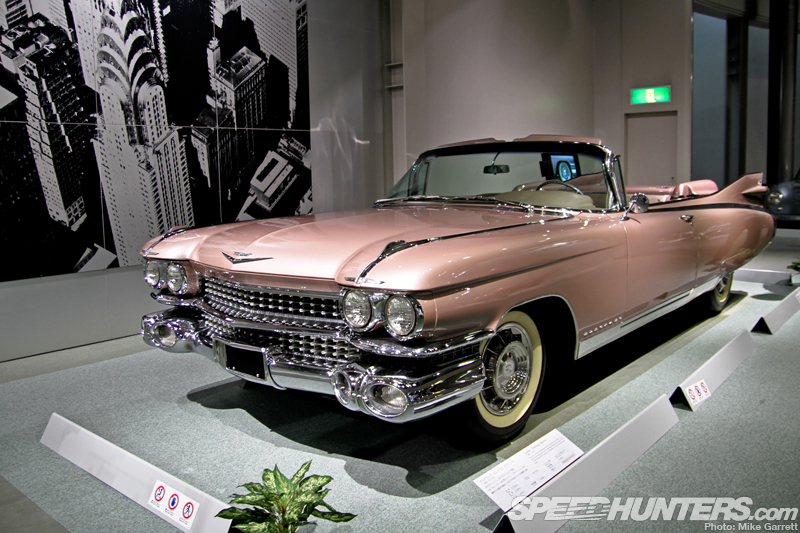 As American as Elvis himself, the 1959 Cadillac Eldorado Biarritz, representing the height of America’s extravagant car design during the ’50s. 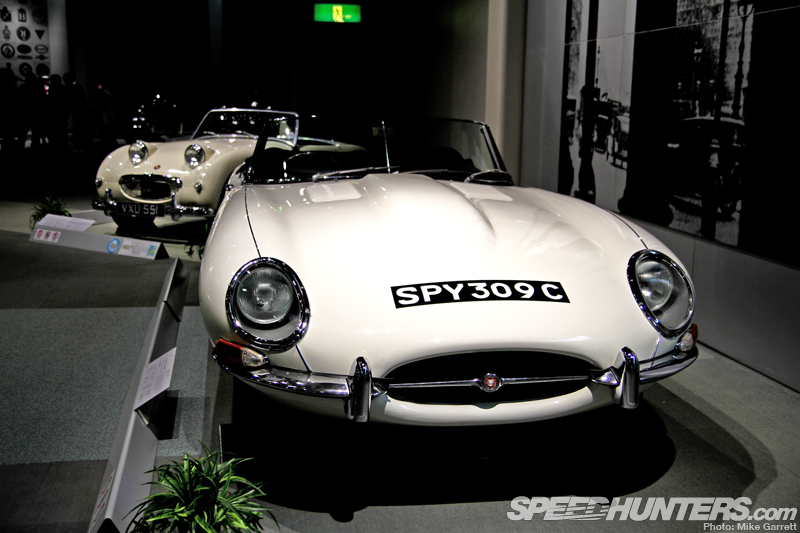 The international selection of vehicles continues on through the 1960s and goes about as modern as the beautiful lines of the 1965 Jaguar E-Type Roadster. 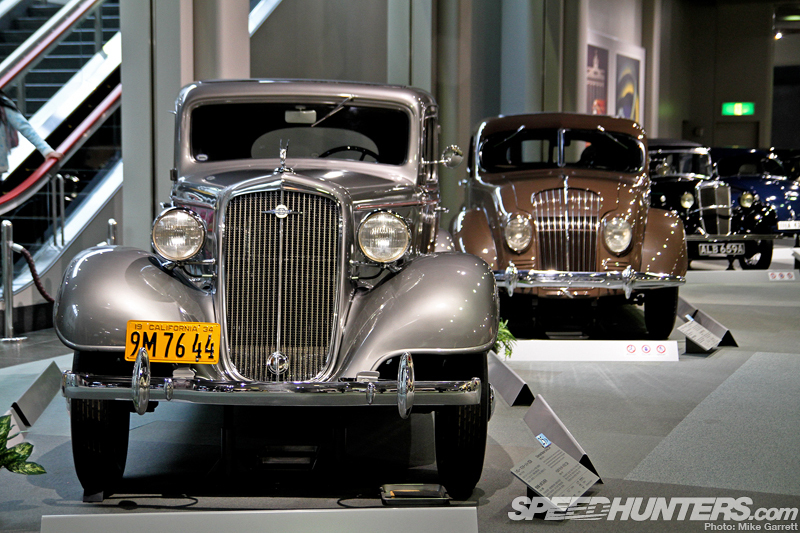 Now let’s not forget we are in Japan after all, and the museum also includes an incredible collection of historic Japanese vehicles from the 1930s on through the 1980s. 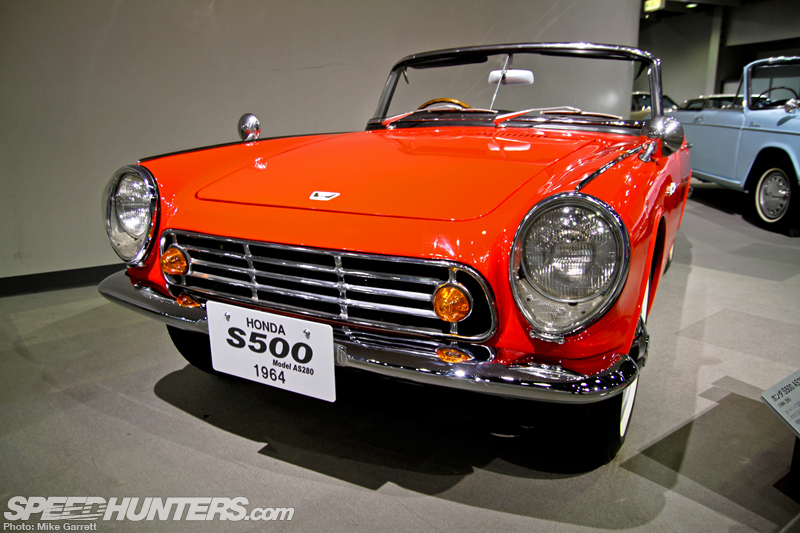 Along with some of Japan’s most famous and best-selling models of the time, the collection also includes many of the country’s more obscure, but historically-important vehicles. 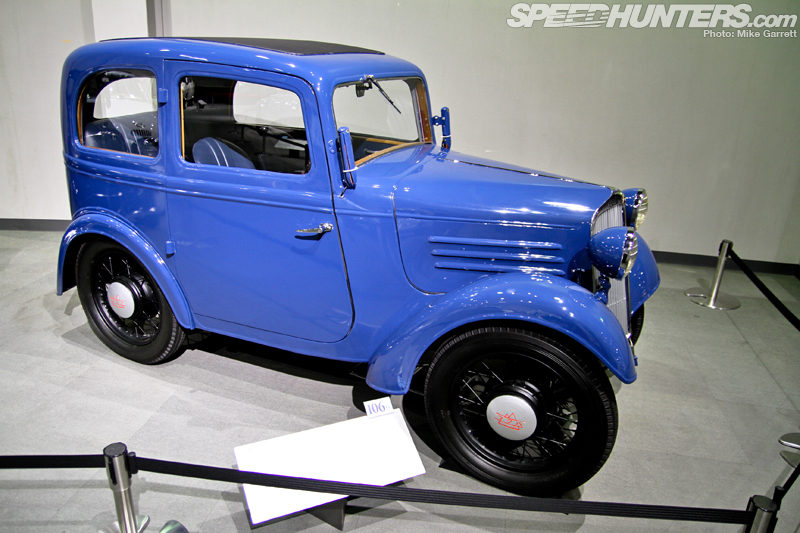 I’m talking about cars like the 1935 ‘Tsukuba-Go’ from Tokyo Jidosha Seizo, considered to be one of Japan’s first automobiles. 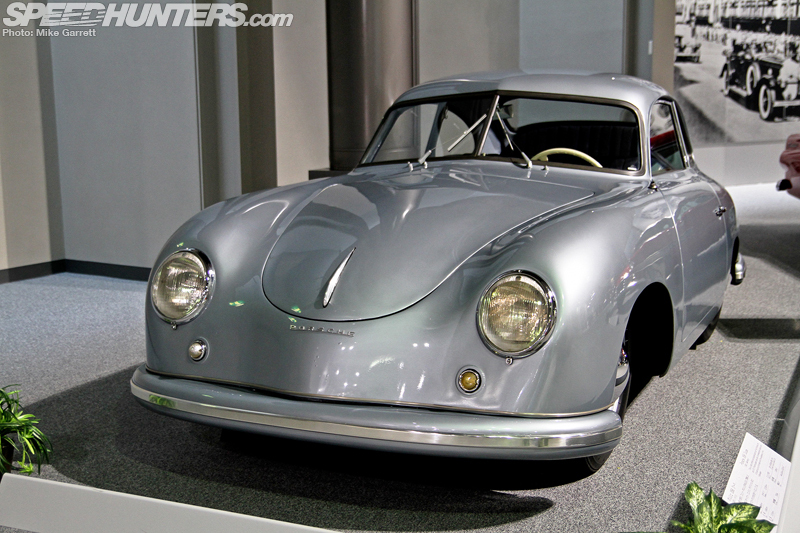 Named after the famous mountain, there were just 130 of these cars built over the course of three years. 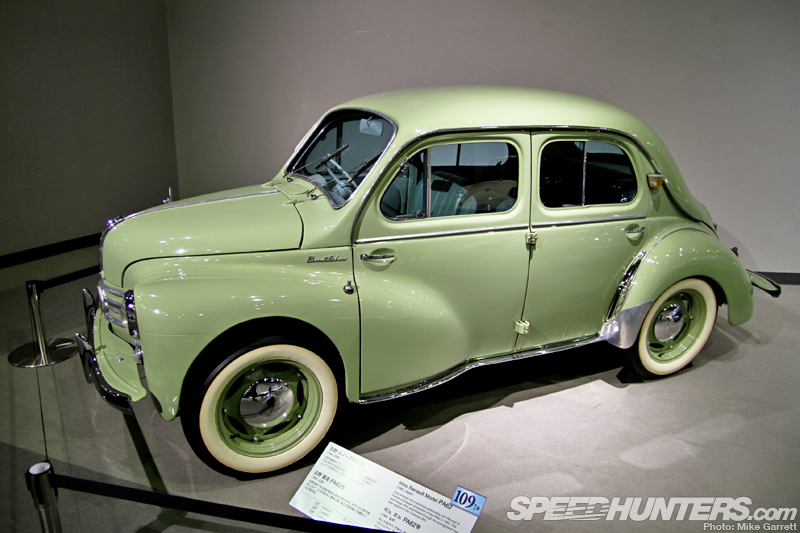 The Tsukuba-Go was followed by cars like the Datsun Model 16, which was Japan’s first car to be mass produced on a belt-conveyor assembly line beginning in the mid 1930s. A few of these cars I had never even heard of before, including the 1955 Flying Feather from Suminoe Engineering Works. With a two-cylinder powerplant, and bicycle like tires, the Flying Feather was designed for maximum economy. 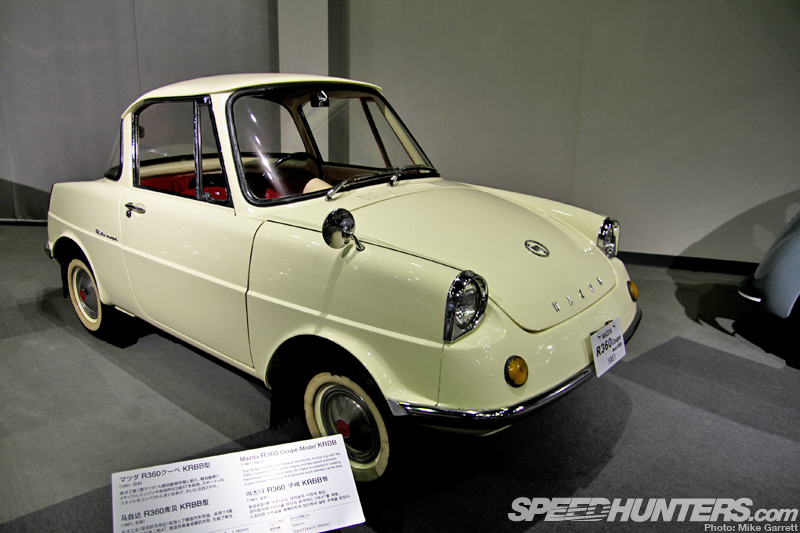 Perhaps even stranger is the Fuji Motors Fujicabin Model 5A, also from 1955. 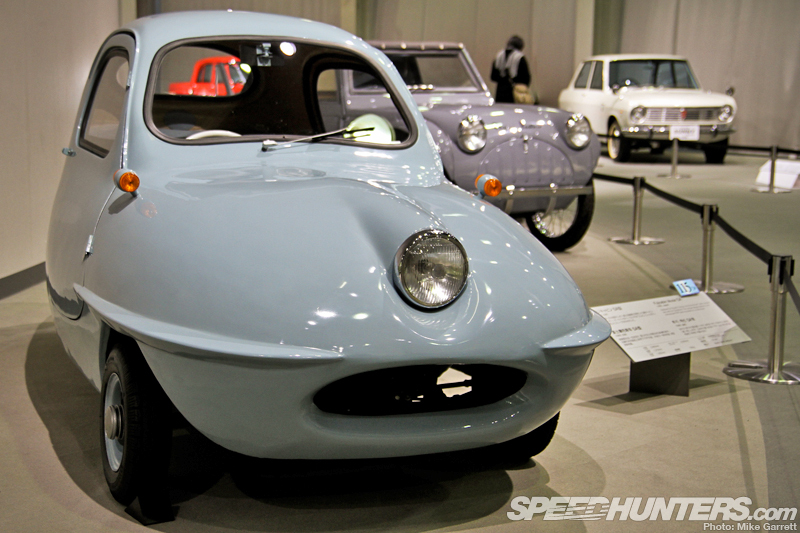 This cute looking little car is basically an FRP monocoupe body mounted on a three-wheeled scooter chassis. 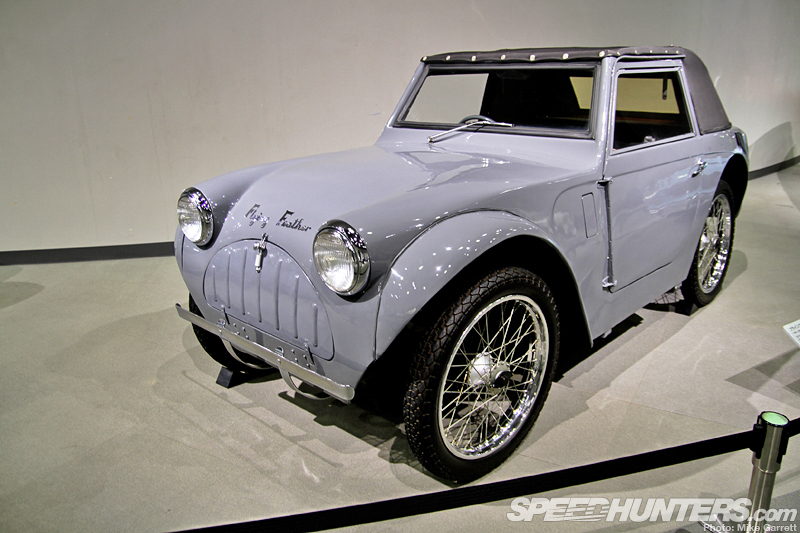 The car you see here, known as the Model PA62 is a result of a collaboration between Japan’s Hino and France’s Renault during the 1950s and 60s. 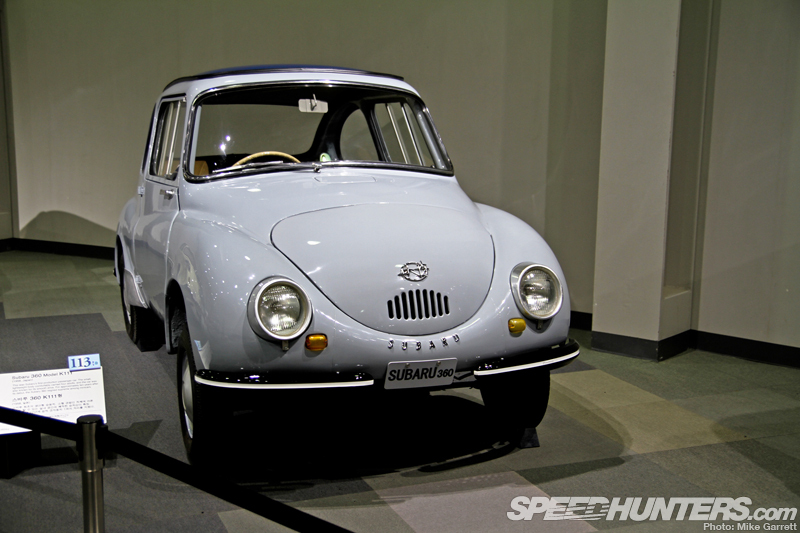 One of Japan’s first truly iconic and most successful minicars was the Subaru 360, as represented by this K111 model from 1958. 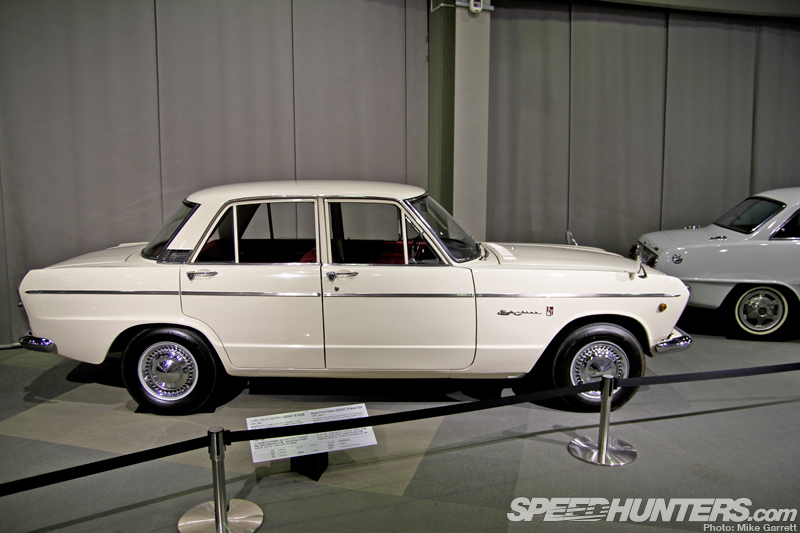 Mazda’s contribution to Japan’s minicar wars included vehicles like the 1961 R360 Coupe with its four-stroke engine, automatic transmission and modern bodywork. 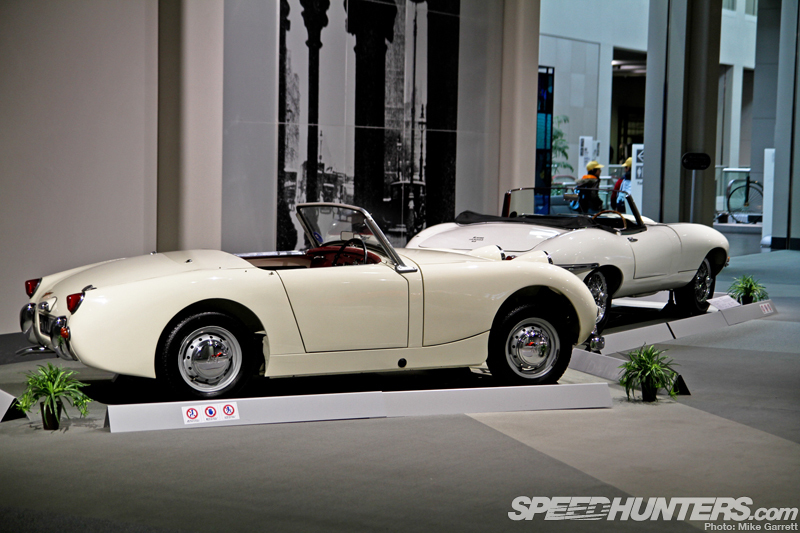 … along with some of Japan’s great early sports cars. 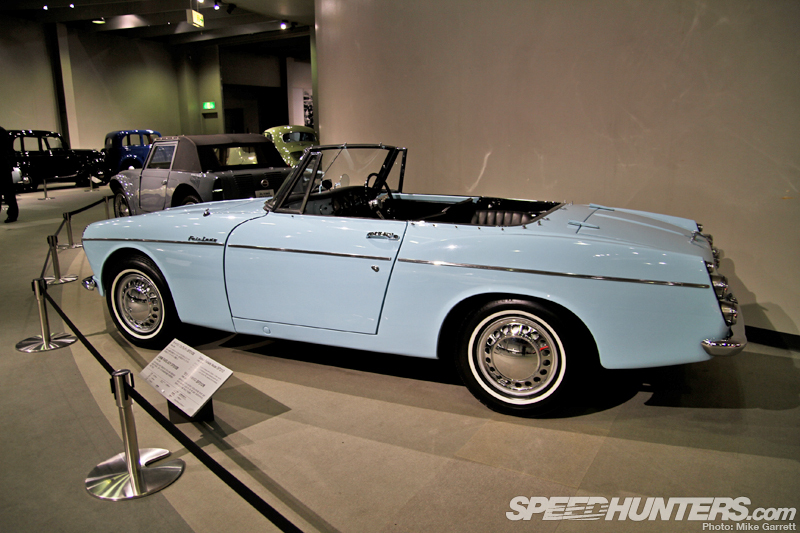 … and from 1963 an Sp310 Datsun Fairlady Roadster coated in a purely ’60s shade of baby blue. 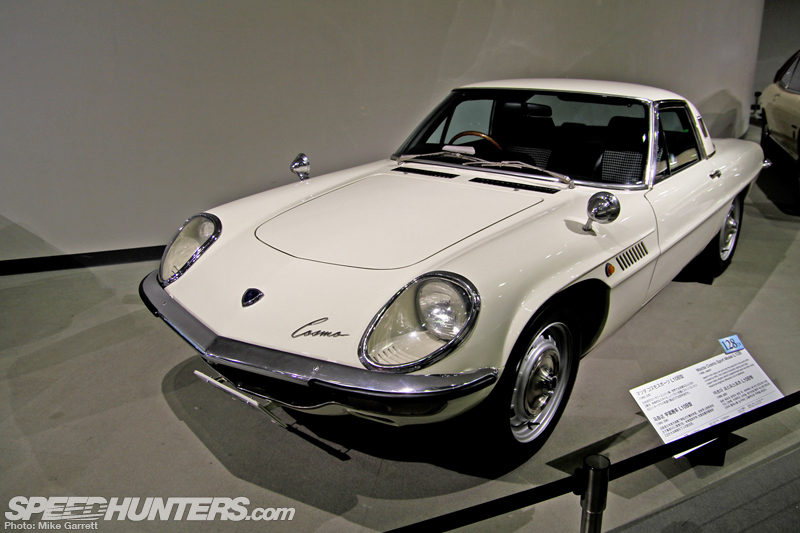 Also presenting itself is the unmistakable shape of the 1969 Mazda Cosmo Sport, considered by many to be one of the best Japanese classics of all time. 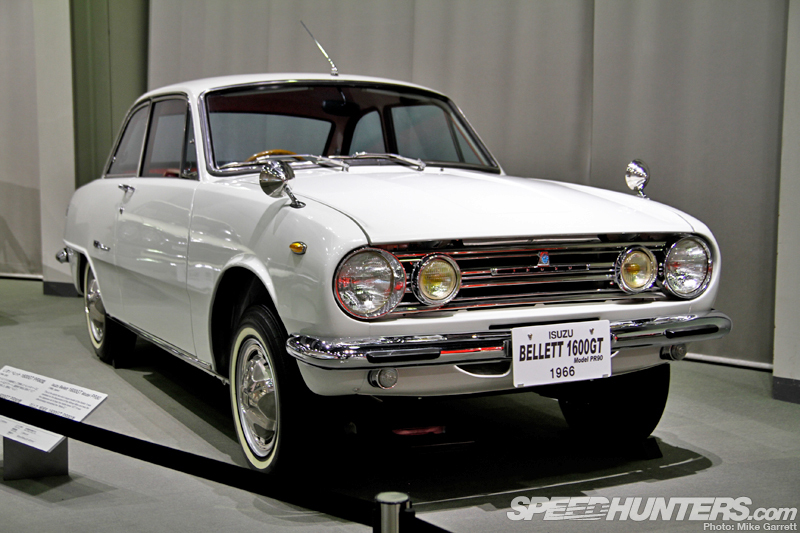 Slightly lesser known, but just as interesting are cars like Isuzu’s Bellett 1600GT from 1966 – the first Japanese vehicle to wear the ‘GT’ name. 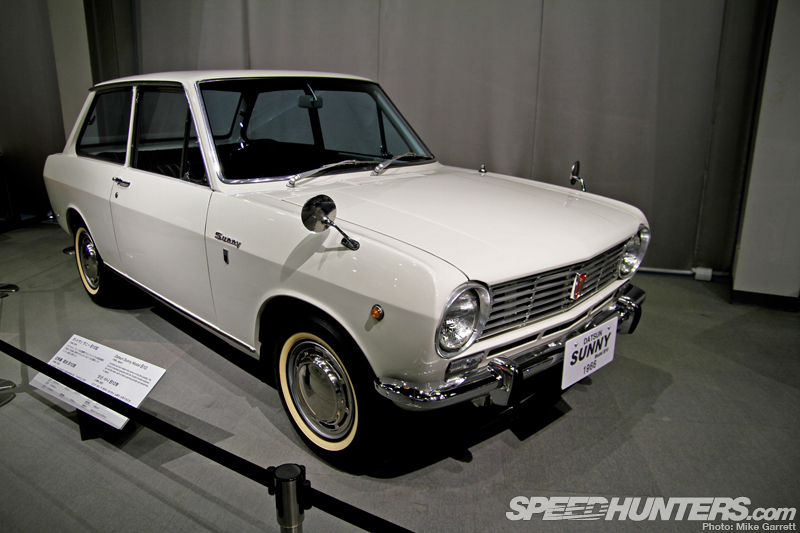 This display certainly wouldn’t be complete without a Skyline, and representing the marque here is an S54 model 2000 GT-B from 1967. 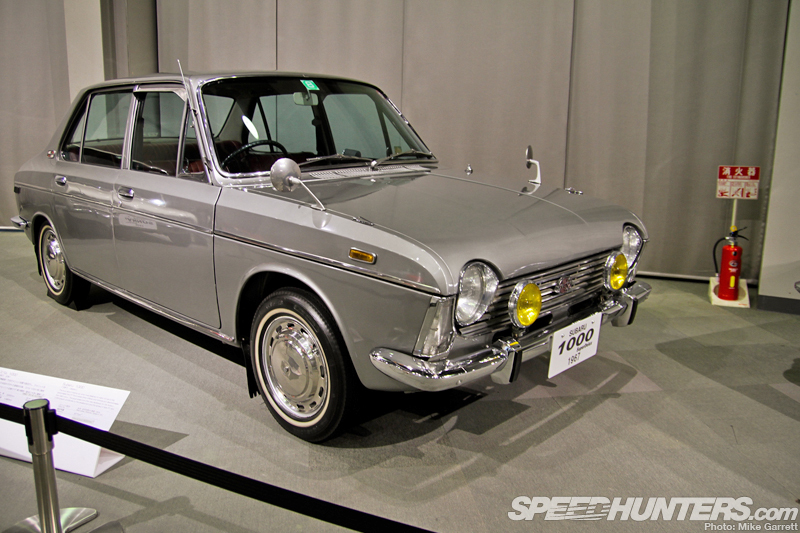 Slightly more unexpected was the addition of a 1967 Subaru 1000 sedan with its unconventional flat-four engine and front-wheel-drive layout. I can’t recall seeing many of these at classic car events. 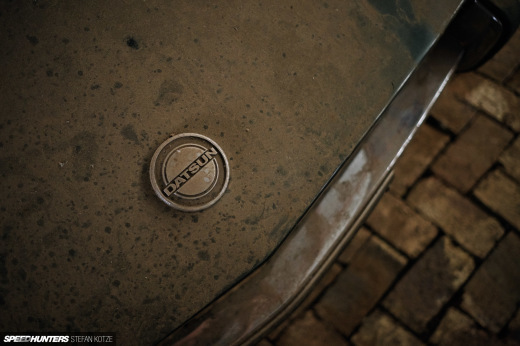 Four valves, three carburetors and two cams: the name of the 1970 Fairlady Z432 says it all. 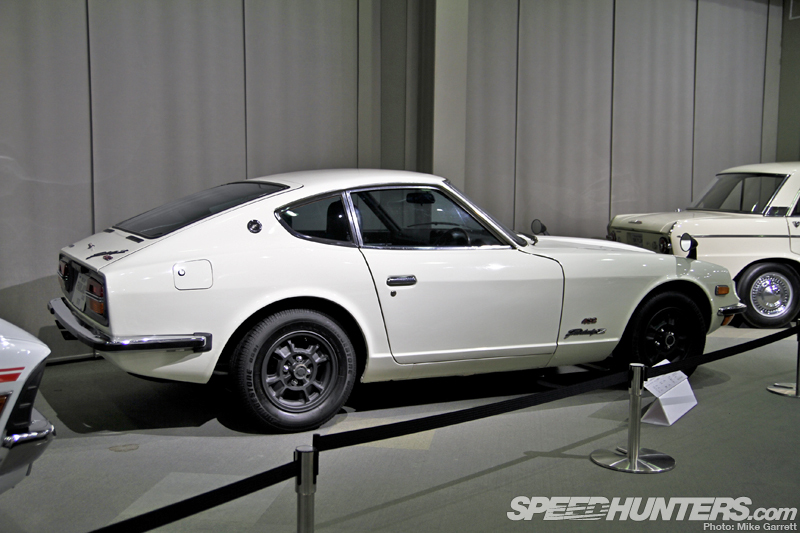 In terms of outright performance, this S30 was one of the hottest of the group. 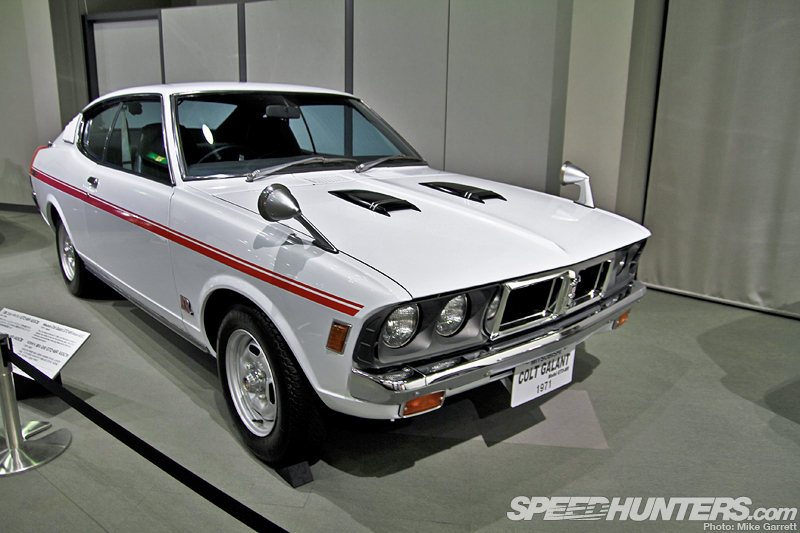 The is parked directly next to another of the hot cars of the era – a 1971 Mitsubishi Colt Galant GTO-MR with its potent double overhead cam four cylinder engine. 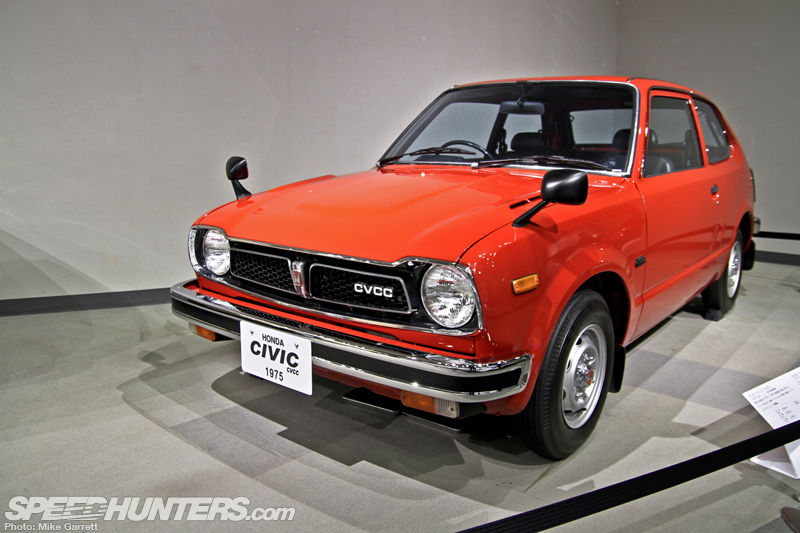 Also represented is a 1975 Honda Civic CVCC, an extremely important car which helped put Honda on the path to worldwide success during the fuel-starved 1970s. 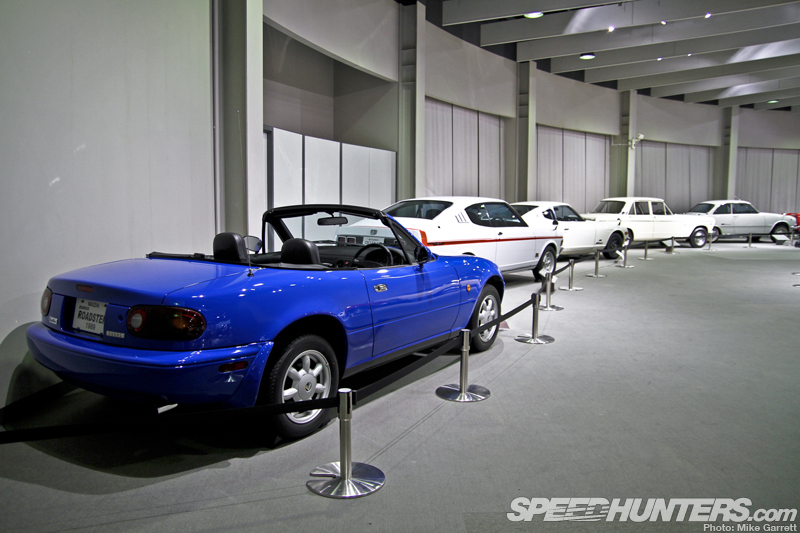 Last but not least, we have a Mazda Eunos Roadster from 1989. Modern classic anyone? 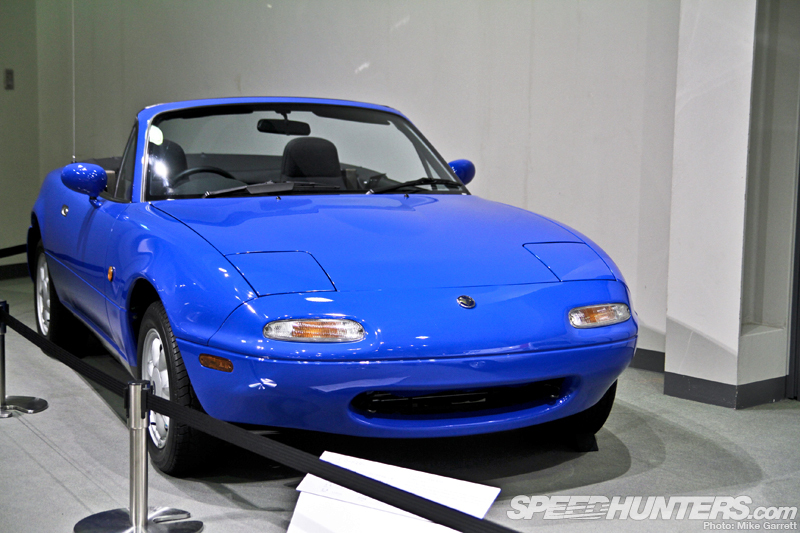 This happened to be one of the newest cars in the building and a very worthy machine to close out this selection of non-Toyota vehicles from inside the Toyota Automobile Museum. 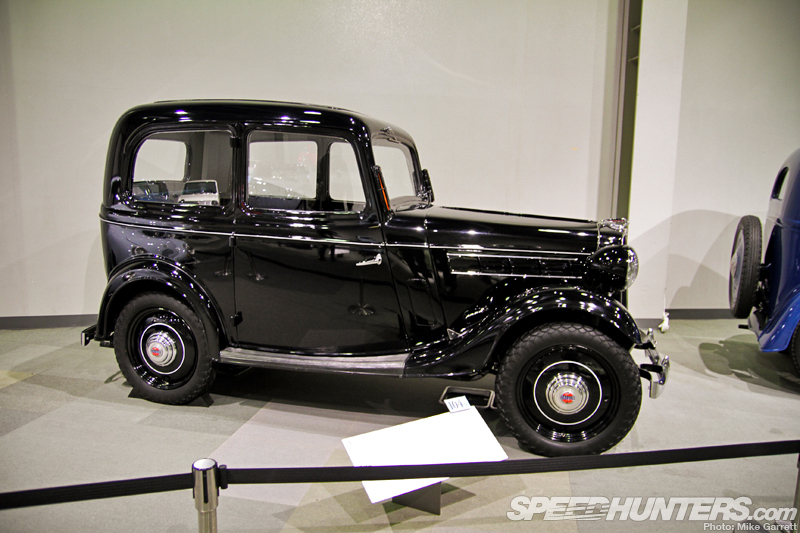 Next time I shall return with a more detailed look at the amazing Toyota 75 exhibit.